*One of football’s beloved treasures was a big ol’ Bear that played for Chicago. 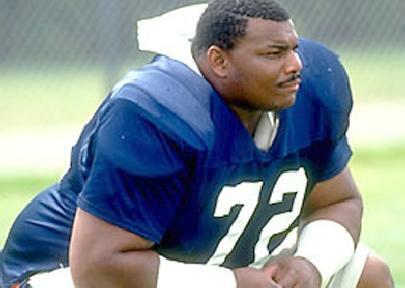 That Chicago Bear was none other than William “Refrigerator” Perry. He was the most massive thing trodding down the field at 325 lbs. and holdin’. Regularly sparring with Mike Ditka over his weight, he had a series of good hits that made him famous and kept the legendary rusher, Walter Payton’s job easy. But now after the heyday has come and gone, the Fridge suffers from Guillain-Barre syndrome, an autoimmune disease that can cause paralysis and Walter Payton died from cancer over 10 years ago.